Defense analysts believe the recent elections could open a window of opportunity for President Barack Obama and Republican lawmakers to cooperate on fiscal initiatives, Breaking Defense reported Thursday. 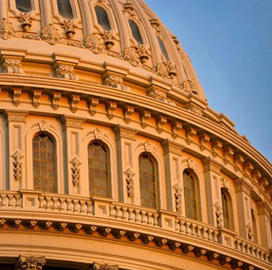 Colin Clark writes Josh Holly, a Podesta Group principal, and American Enterprise Institute analyst Mackenzie Eaglen see an improved chance of a budget deal to reduce sequestration cuts in the next Congress. “It’s time for government to start getting results and implementing solutions to the challenges facing our country, starting with our still-struggling economy,” said House Speaker John Boehner (R-Ohio), according to Breaking Defense. Senate Minority Leader Mitch McConnell (R-Ky.) told reporters Wednesday he is hoping for productive talks between the White House and a Republican-led Congress.